(Nanowerk News) Ultra-small particles loaded with medicine – and aimed with the precision of a rifle – are offering a promising new way to strike at cancer, according to researchers working at MIT and Brigham and Women's Hospital. In a paper, titled "Targeted nanoparticle-aptamer bioconjugates for cancer chemotherapy in vivo", published in the April 10, 2006 online edition of the Proceedings of the National Academy of Sciences, the team reports a way to custom design nanoparticles so they home in on dangerous cancer cells, then enter the cells to deliver lethal doses of chemotherapy. 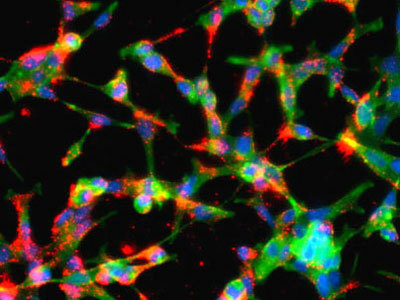 Normal, healthy cells remain unscathed.